How to create an item in Method. Note: New items are added to your QuickBooks items list when you sync. 1. On your dashboard, click ⊕ New on your Items App, or click ⊕ New Item on your Items List. 2. This opens the first part of the New Item screen where you choose the type of item. 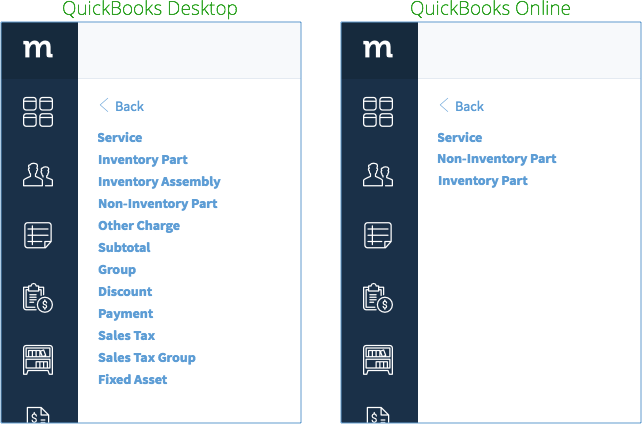 Note: QuickBooks Desktop and QuickBooks Online will have different item types. 3. 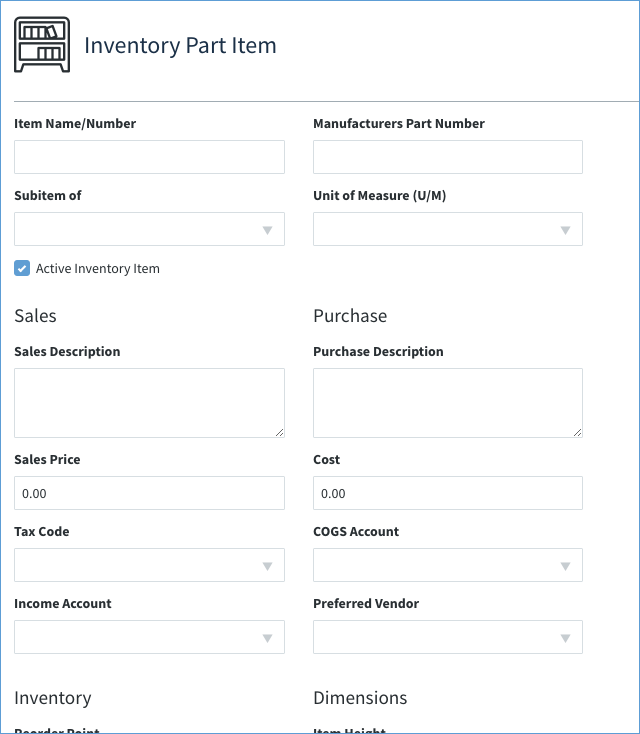 Each type of item has different fields to fill. It is beyond the scope of this article to cover all the fields of each item. Fill out the pertinent information based on which item type you’ve chosen. Fields marked with an asterisk (*) are required. 4. 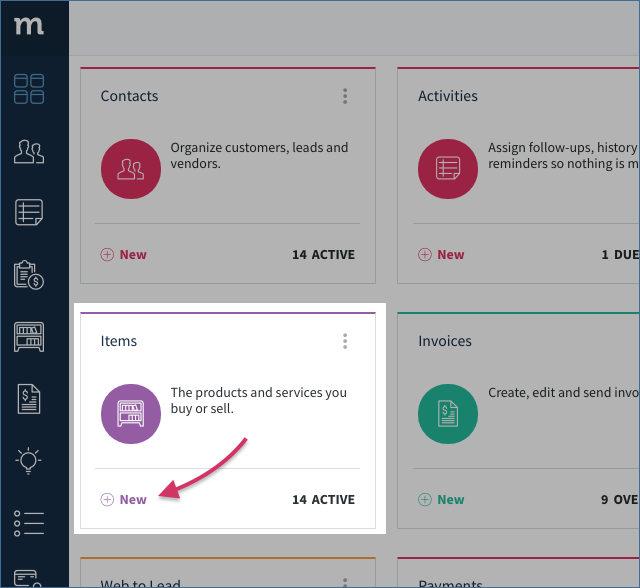 Ensure the Active checkbox is checked so the new item appears in dropdowns. 5. Click Save to save the new item. Once the screen is refreshed, the new item is visible in the Items List as well as all item drop down menus!